In their latest post, ‘Jump jets’ for the ADF ?’, Richard Brabin-Smith and Benjamin Schreer argue that the next Defence White Paper should not consider procuring the F-35B, the Vertical Take Off and Landing version of the Joint Strike Fighter. They cogently outline their cost-benefit analysis on why the F-35B doesn’t stack up for Australia but they fail to take the next step: consider the viability of alternate options for increasing the ADF’s capability to employ persistent close air support, airborne intelligence and electronic warfare options in Defence of Australia and expeditionary operations  in the region’s archipelagic environment. The improving capability of maritime unmanned aerial vehicles could address a major capability gap within the ADF’s portfolio and significantly enhance military response options for the Australian government into the future. As Brabin-Smith and Schreer rightly point out, the Canberra Class Landing Helicopter Docks (LHDs) are multi-purpose amphibious assault ships and as such represent a major improvement in the ADF’s ability to project force in the region. For the government, the LHD provides a platform from which they can launch a number of force packages; from combined arms battle groups through to reconstruction and medical response teams, and everything in between. What the ADF doesn’t have to support the transit of these maritime task groups is an armed fixed-wing airborne platform that can operate from the LHD to support maritime and landing forces with fires, intelligence and electronic warfare. While the F-35 will provide the ADF these functions, its level of persistence remains unknown. This is because its combat range is limited by the location of appropriate basing options. So what’s the alternative? Maritime unmanned combat aerial vehicles (UCAV) is one option worthy of consideration. For the ADF, the introduction of armed and reconnaissance unmanned aerial capabilities that are able to operate from northern Australia, the LHD and/or austere air bases across the region will provide a significant combat multiplier. Importantly, it also increases the options available to government in responding to crises. Persistent intelligence, surveillance and fire support will be essential in the operating environment envisaged by the Australian Army’s Future Land Warfare Report , in which even the most basic adversary could have access to highly-lethal mobile platforms. While Brabin-Smith and Schreer rightly note the limitations and costs of the F-35B operating from an LHD, having an airborne capability that could operate from the LHD would enhance the protection of both maritime and land forces. While there are limitations in the operational capabilities of current maritime UCAV in terms of payload, detection and resilience, there’s no doubt that these issues are being addressed as major maritime powers increase their level of investment in this capability . Their presence on an LHD also wouldn’t impact on the size of any embarked landing force in the same way as a F-35B force package. Procuring a UCAV would be expensive but it’s a comparatively low-cost option compared to the F-35B. The ADF should give thought to developing a suite of unmanned aerial vehicles for use across the services. 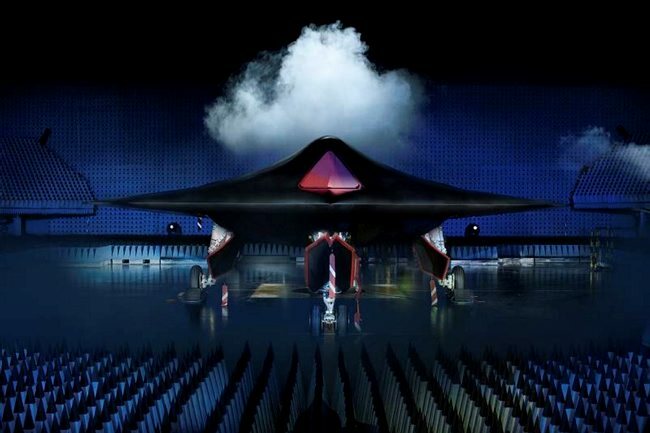 UCAV offers the ability to project from a greater number and type of forward bases and in conjunction with the other air, maritime and land base systems in the joint force provide a persistent contribution to the operational effects of intelligence, surveillance and reconnaissance (ISR), sea denial, sea control, air interdiction, air strike and close air support. Their utility and cost effectiveness warrant further consideration. Mark Ascough is an Australian Army officer. The views expressed in this paper are his own and do not reflect those of the Australian Army or Department of Defence. Image courtesy of UK Ministry of Defence .